Have items ready for pickup but don't want to get out of your car? 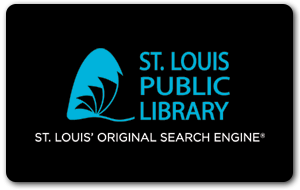 Try our Curbside Pickup Service at three St. Louis Public Library locations. First, place items on hold using slpl.org or the SLPL mobile app. Select one of the three participating Curbside Pickup Service locations as your desired pickup Library. Once you are notified via email that your hold is ready. Call 314-539-0364 to schedule a pickup time. Items must be picked up the same day service is requested.